Hello and welcome to episode 75 of the GFE Podcast. Today we are covering a variety of questions and topics that have come in. If you have a question you’d like answered on a future Q&A podcast please head over to GFE.com and in the top navigation you will find a section you can submit a question. 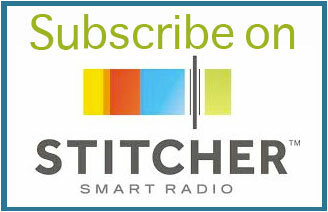 You can either send an email question or leave a voicemail using some swanky software we’ve got there. You can simply press go and record something straight from your computer. I just love technology! We’ve actually had this software available for a while but no one has been brave enough to use it yet, so will you be the first one to leave a voicemail and get featured on the GFE podcast? Well who knows. First up today I’ve got an email I received that had a few interesting things that I thought we should cover. So first let me read the email. I am suffering with on-going pain throughout my body (started with my hips, then shoulders, knees, elbows, and now just seems to be my whole body). I spent the fall going to various doctors, physical therapy, and having x-rays, an MRI, and blood work. All did not indicate any problem, which is great, but the pain is worse than ever (this started about a year and a half ago). Since I can’t get any answers “medically,” and all things point to some type of inflammatory problem, I decided to look into anti-inflammatory diets (would prefer a more natural remedy anyway). I am really hoping to find something that can help (and am willing to do the work). The daily pain (and lack of sleep because of it) are taking a toll. So that’s a very interesting email right? I know that there are many people who have all of these mysterious symptoms and have been to doctors seeking the answer to their problems, some kind of answer. Because if we have some kind of diagnosis then we can deal with the problem, right? Sure, it certainly does help and it can be incredibly frustrating when there doesn’t seem to be an answer. But often there are things we can do for ourselves to move forward on the right track. Sometimes one of the best things that can happen to us is that we don’t get a “medical” solution. I mean you can look at that in a positive light because it means there is hopefully nothing major wrong. So where that leaves us is seeking more natural solutions and alternatives that are not ‘medical’ and there are plenty of alternatives out there. It also leaves us in a situation where we need to become self empowered and that’s often a really great thing when it comes to our health. Sometimes if you get a diagnosis and get put into a box it can force some people to get lazy. Don’t get me wrong, I’m not saying that a diagnosis isn’t necessary, it certainly can be, but what I’m trying to say is that whether or not you are labeled with a condition or not, it’s still best to get as proactive as you can with your health. Anyway, getting back to this problem of aches and pains throughout the body with no seeming solution. It is very interesting that if you go down the medical channels you will not be looking at things like nutrition, toxicity, detoxification pathways in the body, or any other alternatives. 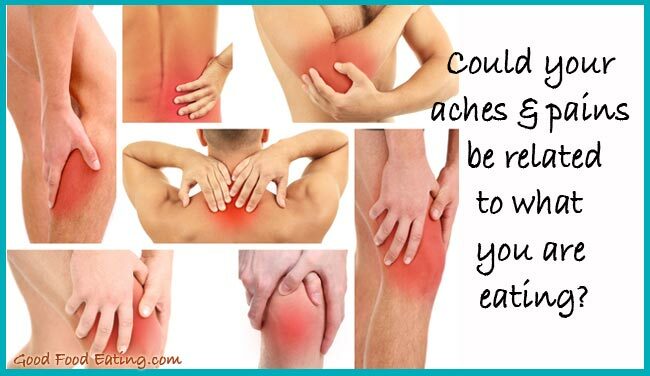 Aches and pains in the body can be related to the food we eat. I know this sounds strange to many people and over the years I’ve had several comments from people saying that what they eat can’t affect their muscles. But oh yes it can. What do you think feeds out muscles and provides nutrients to the muscles to move, well our blood does and the nutrients that travels through our blood is a direct result of what we eat. The interesting thing about this is that things like gluten have been linked to aches and pains in the body. I know this sounds strange again because you might have heard of celiac disease and know that this is related to gluten. But often times if we did have a problem with some type of food we’d expect to have digestive issues. And this is the interesting thing about food sensitivities or allergies, they don’t necessarily result in digestive problems, sure they can present as digestive symptoms but more often than not they are presenting as things like aches and pains, headaches, fatigue, lack of mental clarity and many other things. One thing is for sure, if your pain is worse than ever or not going away it has to be something. Now I’m not saying it is food related but if this is happening to you then nutrition and food sensitivities are definitely a good avenue to explore and one of the first things that needs to get the cut is gluten. There is lots of scientific research that shows non-celiac gluten sensitivity results in symptoms like behavioral changes, bone or joint pain, muscle cramps, leg numbness, weight loss, chronic fatigue, and a foggy mind. Some other common allergenic foods include dairy, eggs, peanuts, and soy. 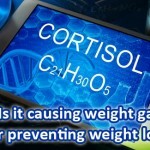 And of course if your diet is full of packaged and processed foods that contain lots of refined carbohydrates, sugar, and additives, then this can also be an irritant that can cause increased inflammation and aches and pains. It’s also unfortunate that when we are in pain it affects our sleep and causes us more stress and this increases our pain and inflammation. So it can leave us in a bit of a repetitive cycle. Don’t give up when you find yourself in a situation. Dietary changes are definitely a great place to start, move more, so some kind of exercise or stretching can help too. And just keep exploring your avenues for solutions. But make those dietary changes starting with the gluten and see how things go. Next up I got an email saying. My biggest struggle is I am overweight, fatigued, turning 40 this year. Had gastric bypass in December 2008 and since 2010 have put back on 85 pounds! Seriously if this is you as well you’re not alone in these struggles, many people who have gastric bypass put the weight back on. It’s really unfortunate because it is sold to us as an effective solution for people who have large amounts of weight to lose. But more often than not I’ve seen people put the weight back on. It is sad that this happens to anyone but the only way to overcome the weight issues is to change our habits, and gastric surgery doesn’t teach us that, right?! 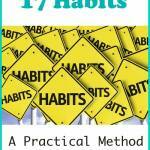 Sure we have the surgery but we’re left with the same habits as we had before. Surgery is expensive and you could put that money into hiring a personal nutritionist and over the long term you’d have a much better outcome. Or at the very least if you are in a position where you are going to have gastric surgery, then factor in some consultations and assistance from a nutritionist who can help you get some good habits in place after the surgery. As for the person who sent this email I suggested that they had a great advantage because being just 40 this is young and gives a person plenty of time to turn it around. Even if you’re 50 or 60 or even 70 you can still turn things around. The body has an amazing capacity to heal when we give it the right things. So don’t give up on yourself if you find yourself struggling because there is plenty you CAN do. I always suggest answering just one question: What one thing can you do to get started? Just one small step. Get up tomorrow and just do that one small thing. Don’t think about the long road or feel bad about what’s happened, just start being proactive with one thing. Stick to that and then bring in the next thing. That’s really the easiest way to get started and keep on going. So what one thing can you do to get started? Just one small step. Think about that and get up tomorrow and just do that one small thing. We did cover the topic of gastric banding back in episode 39, so there might be some more info you can listen to there as well. I am suffering from Psoriasis, Proriatic Arthritis, Ankylosing Spondylitis, Inflammatory Bowel Disease and Sjogrens Syndrome. Allergic to all the Biologic medication. Conditions out of control – I am desperate. Hoping to make a difference with my diet??? So really the question here is that will my diet make a difference to all these conditions that are seemingly out of control? The answer to that is a definite YES. All of these conditions are inflammatory in nature. Many of them are associated with food issues with poor detoxification pathways in the body that contributes to an increased inflammatory response in your body. If you have listened to some of our previous podcasts on inflammation you may know that when inflammation starts it sometimes gets on a roll of it’s own and this is why conditions can flare up and get out of control like this. So you need to set about putting the fire out, so to speak. 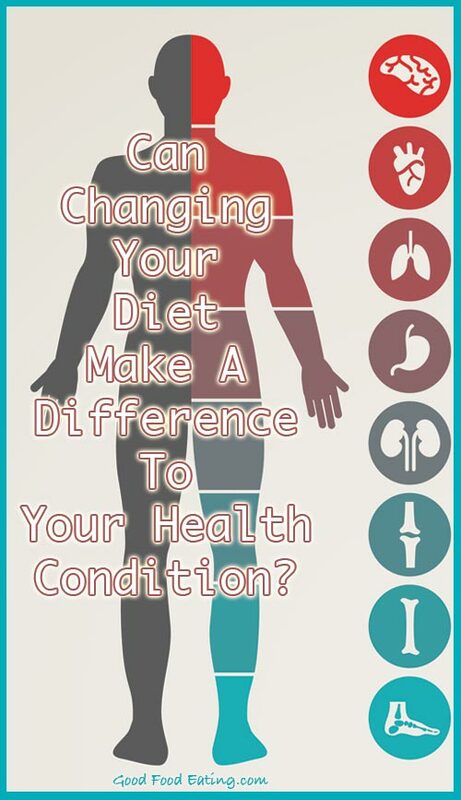 Diet is one very vital component that can help. What we eat can modulate our immune system and the inflammatory response that occurs. Again if we take ourselves back to what we were talking about at the beginning of the podcast about food sensitivities being related to symptoms we may be experiencing elsewhere. This is true for conditions like psoriasis, arthritis, and IBS. Certainly things may not be 100% related to nutrition but if you currently have a pretty poor diet then I can guarantee that by improving what you eat you will start to calm that fire down and reduce many of the symptoms. I’d suggest cutting out the gluten first and I already explained why earlier in the podcast. And start on an anti-inflammatory type diet plan that includes lots of fresh foods. I would also recommend taking a good probiotic if you don’t already. A couple of great probiotic strains that help with inflammation are bifidobacterium infantis and saccharomyces bourlardii. So if you can find a probiotic combo that includes both of those, that’s great. How do I eliminate simple carbs? That’s a great question and really there’s a simple answer and that is just start eliminating them. One of the best things we can do when it comes to eliminating any food is to find replacements and alternatives and do it one step at a time because often when we just go cold turkey it leaves us with cravings and we might go on a binge or just struggle to cut the foods out that we are trying to eliminate. So let’s go through a bit of a list of simple carb foods and share some alternatives you might include. Then you can just select some of these things and start swapping them out for better options. Then before you know if you will have eliminated them, or at least reduced them a great deal. So let’s start with breakfast cereals, these contain lots of simple carbs, so instead you might make some porridge with real oats, or a muesli, or eating eggs for breakfast is often a great way to start the day. Then there’s toast, well if you eat white bread you can choose a wholemeal option instead. Gluten free is even better but if you are going to eat a gluten based bread go for rye or spelt as these are usually digested better than wheat. The same goes for white rice, white flour, and white crackers. Choose brown rice, wholemeal flours, wholemeal or whole grain type flours. Exchange white pasta for brown rice or quinoa pasta, or use some sautéed shredded cabbage as a replacement for pasta all together. When it comes to sugar, people often struggle a lot and the truth is there is no easy way to reduce it. You can substitute sugar with better options like honey, molasses, rapadura sugar, and maple syrup. Even though these are still sugar at least they contain some nutrients, whereas white sugar has zero nutritional value. So often what that means is you need to find healthy dessert and sweet recipes you can make at home because healthy sweets aren’t too easy to find anywhere else. Also don’t get fooled by health bars, like apricot bars and that sort of thing because these often contain loads of sugar. Eat more veggies in replacement for any type of simple carbs. So instead of having your bread or pasta, have a side of vegetables instead. Try eating some beans and legumes, there are many different kinds and they are very filling. So an easy way to do this is get some hummus, which is made from chickpeas. Chop some carrot sticks and dip them in or eat them with some kind of whole grain crackers if you want to. If there is some kind of processed or packaged food that you like and you’re trying to reduce this, then find a replacement option. Instead of a burger bun or taco you can substitute with lettuce leaves or some type of leafy greens. It’s a great way to get more veggies in and it is surprisingly good. There are actually lots of ideas out there so you just have to start somewhere and then keep trying to find those alternatives and substitutes. I hope you find a few of these ideas helpful but if you ever need some more food help or inspiration, we have plenty of Food Masterclasses over at the GFE virtual nutrition school, in fact we had a new class just start a couple of weeks ago called Stress Free Eating, which was all about helping you make healthy fast food meals, use grocery store items to make quick dinners, and tips for eating out and under stress. We’ve got another class opening soon called the BIG 10 Masterclass, which uses jut 10 ingredients to make 10 meals, so it just shows you that you don’t have to have a whole lot of food in the house to make interesting and tasty meals. The BIG 10 has 3 different menus, roast chicken, ground beef and a veggie menu, so there are over 30 easy recipes, with cooking classes, all with tips and tricks to make eating easier. And I’d say most of the things in those menus are 15 minute meals, some are bakes but those are so easy because you just put things on a tray then set the timer and come back to eat it an hour later. 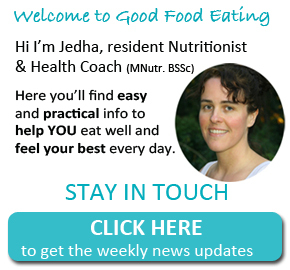 So if you are looking for food inspiration I’d recommend you check out our Virtual Nutrition School because we’ve got lots of recipes, cooking classes, food tips and tricks, and it’s all in one central location to help keep you inspired and eating well. I hope you’ve enjoyed today’s topics be sure to head over to the GFE website to send in your own question. Take care of yourself and see you soon.